"The secret is to keep cool at all times and not to get overexcited in any phase of the game. That's everything”. It is not by chance that the words Fyodor Dostoevsky put in the mouth of his tragic hero Alexei Ivanovich in his successful novel "The Gambler" (“Spieler” in German) in 1867 is also a motto for the young pianist Ludwig Hornung precisely 150 years later. Even if this gamble is on the 88 black and white keys and has nowhere near the self-destructive note of the protagonist, who loses everything in the gambler hell Roulettenburg, some parallels can still be derived. The risk of plunging into the vortex of a piano trio—more or less a leap into the unknown—and to lose everything, i.e., a good reputation, jobs, possibly money too, resonates fundamentally in the most traditional of all band forms in jazz. 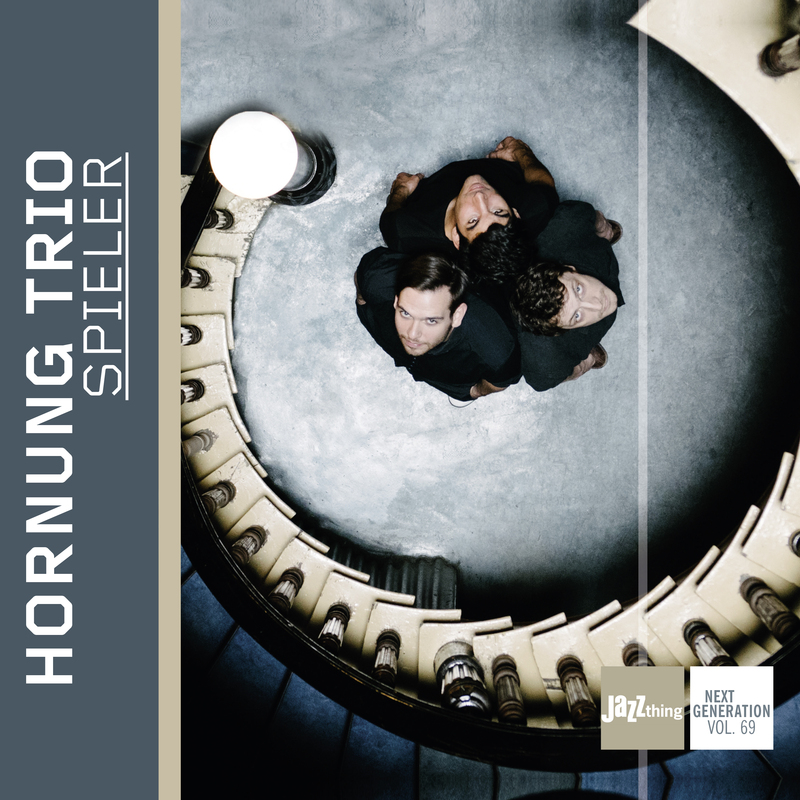 For this reason, Hornung titled his CD under the name fraught with meaning of "Spieler” (“gambler” or “player” in English) and seamlessly takes his place among the high-quality, choice group of Jazz thing Next Generation discoveries as number 69. Because unlike Alexei, Ludwig Hornung knows exactly what he is getting into. "I think that today there are many piano trios with a technically attractive standard, but few that really tell a story and can let their whole personality flow into their playing." What the 31-year-old from the Palatinate Bad Durkheim wants to say with that not only sounds like a unique selling point, but it also sound like one. The seven songs on "Spieler", which Hornung staged in the truest sense of the word with Phil Donkin (bass) and Bernd Oezsevim (drums), are bursting with lyrical power, mystical tension and surprising twists. Ludwig Nuss, Hornung's teacher at the Jazz Institute of Berlin where he attained his Bachelor’s degree with distinction, also raved about the debut of his former protégé: "His technique is nothing short of breathtaking! And with ‘technique’ I mean his ability to generate a unique singing quality of each tone and maintain such in every conceivable context. Everything sings in his playing, the frenzied lines captivate you note for note, and the chords shine outright. I could listen to him for hours!" A principle that the "Spieler" Ludwig Hornung comes amazingly close to here.